Dennis Quaid is famous for having been married to (and divorced from) Meg Ryan, with whom he has a 24-year-old son, Jack (also an actor). He is also known for having had a serious cocaine addiction, from which he recovered by playing golf, meditating and becoming, in his own words, a recluse. Most of us have been looking at him for a while. So, him taking a role in this film appears to be a another life affirming action confirming his change of spirit. Dennis was brought up as a Southern Baptist and had the full baptism immersion experience, “which was probably my first time on stage”. His maternal grandfather, George Jordan, came to Texas in a covered wagon in 1903, became a preacher in a tent and went from near-impoverishment to being worth two million dollars in a period of two months: when his second wife’s father died, he bought his late father-in-law’s land, hawking his Buick to do so, and – glory, hallelujah! – discovered oil on it. Now, Quaid stars in a film that rings true with him, It is based on Mery Me’s hit song of the same title. Dennis landing this role is additional proof that God’s always had a hand in his family line. 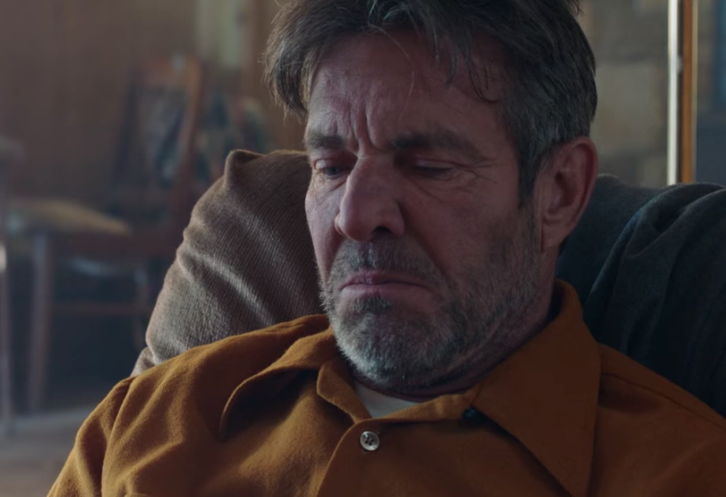 Dennis Quaid revealed his own faith journey and inspiration for his song On My Way To Heaven, which he wrote on the set of the movie I Can Only Imagine.